HYPER PLAY 6AMW is a new battery-powered portable loudspeaker with 6,5” woofer. 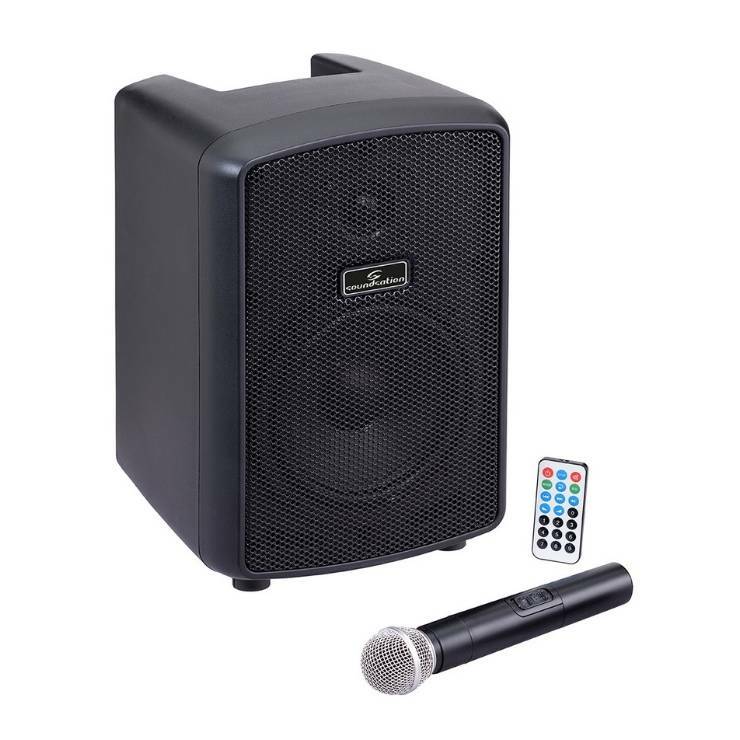 It features a 4-channel mixer, MP3 player, USB, SD-card, and Bluetooth™ connection and professional a UHF wireless microphones with handheld transmitter. HYPER PLAY 6AMW is AC or battery operated with about 5 hours battery life. The Built-in Class-D amplifiers delivers 150W Program Power. The stylish polypropylene enclosure is strong and lightweight, with metallic grille, and 36mm standard pole mount hole. Included in the package there is a padded cover with side pockets to hold microphone and mains adapter.